60 Minutes and the Billionaire Agenda: Part 1, "Counterinsurgency Cops"
This Sunday's episode of 60 Minutes was a brilliant case study in the media's ability to manipulate the public mind. The entire hour is worth studying, if only as one of the most illuminating and sophisticated examples of media manipulation in recent memory. The most important editorial decision may not be how to cover a story, but which stories will be covered at all. But once a story is assigned, however that happens, the journalist's responsibility is to inform readers -- or the audience -- of its meaning and context. 60 Minutes failed both tests. The old journalistic maximum said a good journalist had to answer five questions in every story: Who, what, when, where, and why? Of those, "why" is the most important question of all. 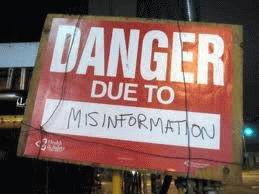 Without it, stories are more likely to misinform than inform. In this case, the misinformation seems deliberate. The intended message seems to be government can't help us. We must militarize our cities and depend on the generosity of billionaires, or we don't stand a chance. Three stories were aired Sunday night: Counterinsurgency Cops, Robin Hood, and Invisible Wounds. The first two pieces advanced the anti-government billionaires' agenda with almost Orwellian efficiency. The third was less driven by that agenda, although it also reflected the biases which big-money interests have built into the institutions of journalism and politics. Counterinsurgency Cops covered, as the name suggests, the adoption of military counterinsurgency techniques by urban police forces. It's a controversial topic: Do we really want our cities subjected to the same occupation-style military tactics as neighborhoods in Kandahar and Mazal-i-Sharif? One might expect both sides of the argument to be covered in a story like this. The Cops episode featured footage of urban police in full military gear, carrying rifles with night scopes and kicking down the door of an American home. Those scenes might have disturbed Americans across the political spectrum, from anti-government right-wingers to civil-liberties-loving liberals, except for the fact that the footage appeared late in the story. By then Lesley Stahl had led the audience through a manipulative exercise which began with her telling the audience that foreign counterinsurgency casts soldiers as "warriors and community builders, going village to village driving out insurgents while winning the hearts and minds of the population" with "mixed results at best." But, Stahl continues, "we met a Green Beret who is finding out -- in his job as a police officer -- that the strategy might actually have a better chance of working, right here at home, in the USA." "Call him and his fellow officers counterinsurgency cops! They're not fighting al Qaeda or the Taliban, but street gangs and drug dealers in one of the most crime ridden cities in New England." The chirpy exclamation point is CBS's, not ours. And as much as intuition might tell you otherwise, CBS finds nothing controversial about fighting suspected gang members or drug dealers (legally they're only suspects, although the word is never used by Stahl) with the same techniques used to fight those who are presumably enemy combatants in a foreign field of battle. "... after returning from Iraq (Cutone) had an 'aha moment' when he was talking to a gas station manager in Springfield ... The similarities to the Iraqi town he had lived in and defended were so striking, that he sat down and wrote out an action plan for Springfield ... He proposed his plan, a counterinsurgency program, to Springfield's deputy police chief, John Barbieri." After being reassured that the plan wouldn't involve "helicopters" and "checkpoints," we're told that Barbieri gave the young former Green Beret the green light to proceed with his "counterinsurgency" program. Except that Mike Cutone didn't think of it all by himself. The American Civil Liberties Union has been studying the militarization of American police forces for years. So has author Radley Balko, whose book Rise of the Warrior Cop tracks this militarization process from Reagan's war on drugs, through Clinton's COPS programs, and into the present. Among other things, this process has given defense contractors billions in domestic sales they would not otherwise have enjoyed. To hear 60 Minutes tell the story, the use of counterinsurgency tactics by US police forces began with an "aha moment" in Cutone's head. His program was initiated in 2009. But military scholars were writing about the topic as far back as January 2007, in papers with titles like "Using Counter Insurgency Tactics, Techniques and Procedures to Defeat Gangs in U.S. Cities," when Cutone appears to still have been overseas. And the flow hasn't just gone one way; the military's been studying police anti-gang techniques, too. 60 Minutes viewers heard nothing about that. Nor did they learn that the seemingly self-effacing Cutone has a second career as a religiously-based motivational speaker (video here) who has authored a book called The Leadership of Jesus: Ten Fundamentals of Leadership. He describes his program as "spiritual ammunition."